Trump Supporters Unite in #NeverRomney -- But Twitter Won't Let it Trend! Trump Supporters Unite in #NeverRomney — But Twitter Won’t Let it Trend! Trump supporters are united in #NeverRomney as Secretary of State. Mitt Romney led the charge against Donald Trump up until Election Day. 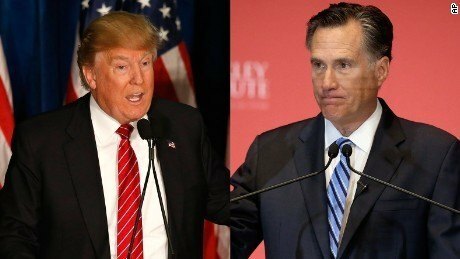 Mitt Romney was so bitter against Donald Trump that he reportedly “sold” his email list to #NeverTrump candidate Evan McMullin. The #NeverTrump movement hoped to steal the nomination from Trump in July and help criminal Hillary Clinton win the election in November. Mitt Romney was so anti-Trump that he made it into several Hillary Clinton commercials. As Truthfeed reported Donald Trump’s top advocates are all on the #NeverRomney train. But for some reason Twitter won’t allow #NeverRomney to trend. Nikki Haley NEVER ENDORSED Trump Qualified? Twitter replaced #NeverRomney with #Recount2016 despite the former having far more tweets. Brazen bias yet again. Mitt Romney SUPPORTS regime change in Syria.